In this Futurebuilders podcast together with Pasi Vainikka and our daring host Teemu Uotila we will find out: How is it possible to produce food out of thin air? What are the benefits of producing food without agriculture? Are people ready for these new non-traditional foods? Pasi Vainikka is a co-founder and CEO of Solar Foods, a company that creates food out of thin air. Dr. Vainikka is an enthusiastic researcher in the energy field. He’s also an adjunct professor at Lappeenranta university of technology. The future is here tomorrow. 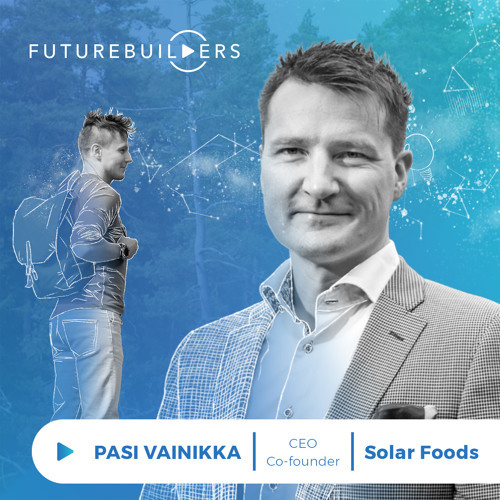 Listen to Futurebuilders podcast with Pasi Vainikka today. Users who like Pasi Vainikka PART 1 – How is it possible to produce food out of thin air? Users who reposted Pasi Vainikka PART 1 – How is it possible to produce food out of thin air? Playlists containing Pasi Vainikka PART 1 – How is it possible to produce food out of thin air? More tracks like Pasi Vainikka PART 1 – How is it possible to produce food out of thin air?